A couple of Saturday’s ago I dug out my headphones and dusted off my CD’s to perform as the DJ at my Uncle and Aunty’s Fortieth Wedding Anniversary Party. It was while I was still in the middle of working at Regatta Radio. So I had my sound and light man set up the equipment in the afternoon. So it was all ready to go for when I got there. I arrived from Henley with only about ten minutes to spare before I was due to start. But my family being the party animals they are, were pretty much all there early waiting for me. It was a good night and everybody seemed to have a good time. I managed to get the dance floor jumping. I mean literally jumping. It was held in an old pub with a wooden floor. And the place was certainly rocking with everybody moving around and throwing some quite interesting shapes at times. The speeches were great. I had lots of fun doing it. And it was nice to catch up, all be it briefly with most of the family. Although when you are the DJ at a do, you do not have much time to socialise. As you do of course have to keep the music coming. Congratulations to John and Lorraine. I am glad you enjoyed the night and had a great time. I have to confess when you are doing a party where you know most of the guests so well. It does make it a little bit easier when you are selecting the right songs to get everybody up. Specially as us “Quigley’s” have a few family anthems. That everyone has to get up and dance to with no exceptions. It was nice to be back behind the decks again and having a bit of fun on the microphone. Last week I was lucky enough to be invited to a special and private showing of the new Jersey Boys film at a cinema in London. On entering the auditorium we were given a complimentary bag of sweet popcorn. Which I thought was a very nice start to proceedings. The film is based on the musical of the same name. Which is actually one of the few West End musicals that I have not seen. The musical and therefore the film is based on the story of the Four Seasons. How four guys from Jersey managed to get out and break free of what could have been a very different life. By beating the odds and becoming huge stars in the music business. Like most success stories it is a mixture of hard work, dedication to a dream and a chance meeting. With a sprinkling of luck along the way. It also looks at friendship, honour amongst friends and how even achieving your professional dreams, can destroy your personal life. There is also plenty of heartache and disappointment along the way to. Personally I thought it was a great film. The story, the songs, the subject matter and the actors. Who were all absolutely brilliant in their roles. Including the actual lead singer with the real Four Seasons Frankie Valli. Who plays his own dad in the film. It is directed by Clint Eastwood. Who does a brilliant job on something you would not really associate him with. Although the movie does have some guns in it and a little bit of violence. Which was in the script and not just added in by the director to make him feel at home. It is a great story. Which really draws you in and makes you feel for all the characters. It shows the highs and lows and all the pit falls of show business. And the finale I reckon could actually have a full cinema dancing in the isles. If you are in to music history, like great music or just fancy being thoroughly entertained for over two hours. Then I would recommend you go and see Jersey Boys. I think I will have to go and see the musical before the end of the summer now. I just know that would be a top night out. Now while I do like watching Cricket from time to time I can’t claim to be a big fan of the sport. But the chance to have a private VIP tour around the home of Cricket Lords was far to good to turn down. When you first walk in to the place it does have a certain aura about it. You do get a little bit excited about being at the place where some great sporting moments from the past have taken place. The tour was taken by the very entertaining Michael. An actual member of the MCC. Who are the elite members of Lords. 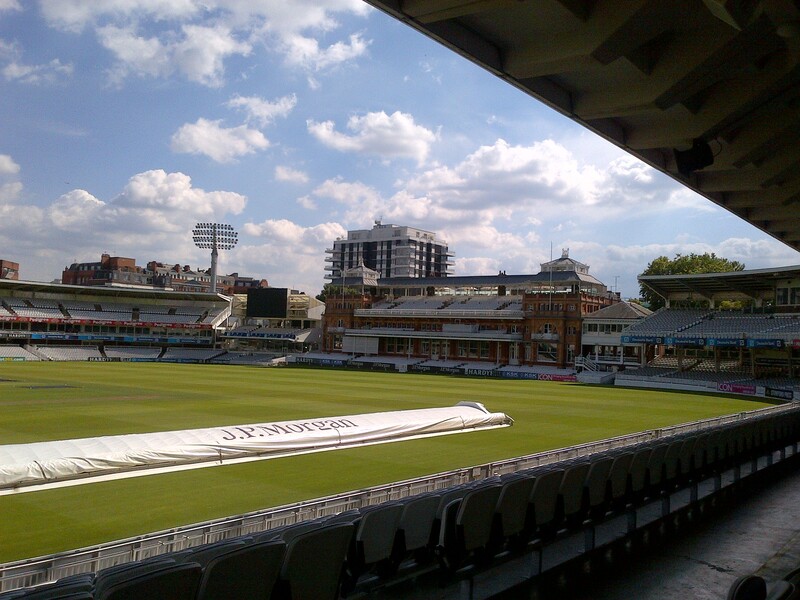 Who use the name of the original team that used the ground the Marylebone Cricket Club. It started with a very good and hugely amusing explanation all about how the Ashes series started. While we were looking at the actual original Ashes. Which always stay on display at Lords whoever wins. We then got to have a look in the famous long room. Which the players all walk through on their way to the pitch. Before heading in to the away and then the home dressing rooms. The thing that struck me was how much closer the main pavilion was to the edge of the ground. Than I thought it was from watching a game from there on television. In the dressing rooms there are honour boards up. Where players who have scored over one hundreds runs in an innings or taken five or ten wickets in a match, have their name displayed. No need to tell you there are some great players from the past on display up there. But also there are quite a few hugely successful world performers. Who never managed to get their name on those boards during their long careers. I was surprised to find that Cricket is not the only sport played at Lords. They also have a real tennis court there. While I was there I was lucky enough to see a game of it being played. I also got to handle the real tennis racket and the ball. Which are both very different from the more popular form of the game. It looked rock hard to play to with the uneven bounce of the ball and the fact you can bounce it off the overhanging roof. The tour finished with a walk around the ground. With an opportunity to try out the view from a couple of the different stands. And a visit to the space age media centre. Which is kind of like a hanging bubble on the opposite end from the main Pavilion. It is such an unusual design that it was built by ship builders. As they were the only ones who had the know how to supply the structure that was requested. The view from there is sensational. It was lots of fun and very interesting having a good look around the home of Cricket. It has kind of made me want to go there again and actually watch a game. The football World Cup is over for another four years then. Congratulations to Germany who became the first European team to win the tournament out in the Americas. They were the best team in the competition. So therefore deserved their one nil win after extra time against Argentina in the final. It looked like they had some party back in Germany, to celebrate. Which having been there drinking beer and having fun in the past at Oktoberfest. I know how good they are at enjoying themselves. I enjoyed the whole event despite England’s early exit from it. It now seems weird not having top class football matches to watch every night any more. I think Brazil did a great job as hosts. Someone I know went out there for the group stages of the competition to watch the England games. And despite the results he had a great time. He did quite a bit of sight seeing including a trip up the mountain to see Christ The Redeemer. Which I would suspect is a must if you are there. He also said the atmosphere there was amazing and had a great time socialising with everybody he met from all over the world. I have a feeling the next World Cup in Russia in 2018 could have a little bit of a different feel to it. We now have four years to rebuild the national team before we can start to dream again. That may be just may be we will have the chance in our lifetime to party like the German’s did last weekend to celebrate being champions of the World. Talking of football this week I had a meeting with a sports production company about some potential football commentary work with them for the upcoming season. It was great meeting the team there. And a fun and interesting afternoon. As I got to demonstrate my reporting skills describing some great matches. 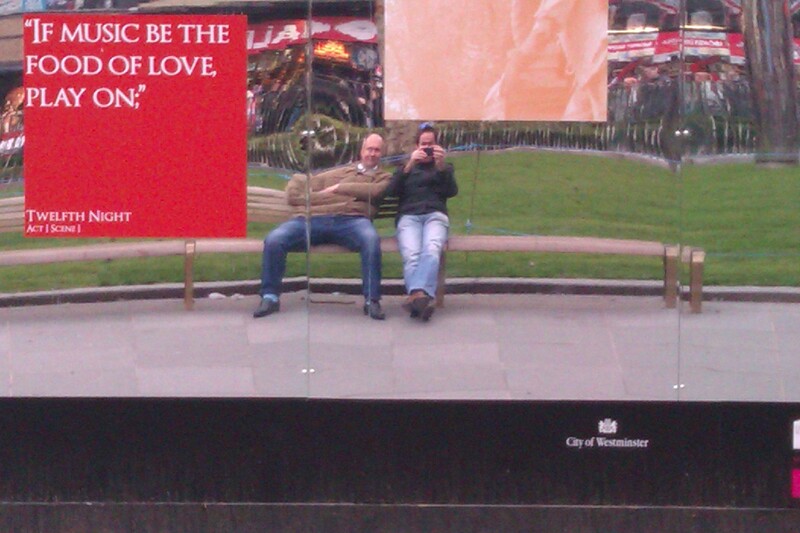 This weekend I am up in the Manchester catching up with an old school friend. Who now just happens to run a pub. He has been there for about two years now and I have finally managed to get a free weekend to go up and see him and his family. I can confirm the place is great and he does happen to pour a very nice pint. I will tell you more about this time up in the North in the next instalment. Hello again, I hope all is well with you. And that you have had a very good couple of weeks. My fortnight has flown by helped by the fun and interesting things that I have either attended or been directly involved in. At the moment I am right in the the middle of working with Regatta Radio supplying full race and behind the scenes coverage of this year’s Henley Royal Regatta. It has been a fantastic week so far with lots of excitement and some brilliant races from out on the Thames. 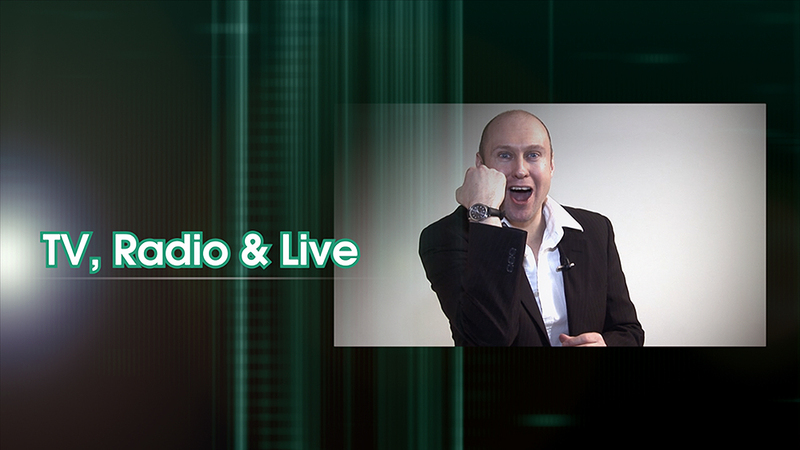 Although I am very busy producing the live coverage and overseeing all of the website content including the daily Podcast’s for the event. I am having an absolutely ball. It certainly has a unique atmosphere. It really does attract its fair share of interesting characters both as competitors and as spectators. Tomorrow it is finals day which is always a spectacular occasion. As is the case with the whole of the Regatta week. It is a very colourful affair with a glittering array of bright and elaborate blazers on display from current and former rowers. Who are members of the many different rowing clubs that are represented. I have spent most of the time working away in the portable studios but I have managed to get down to the waterfront a couple of times and catch a little bit of the action. It is the 175th Anniversary of the annual event. During which. in certain areas of the course you can walk pass a ridiculous amount of Olympic Medal winners in the space of just a few seconds. 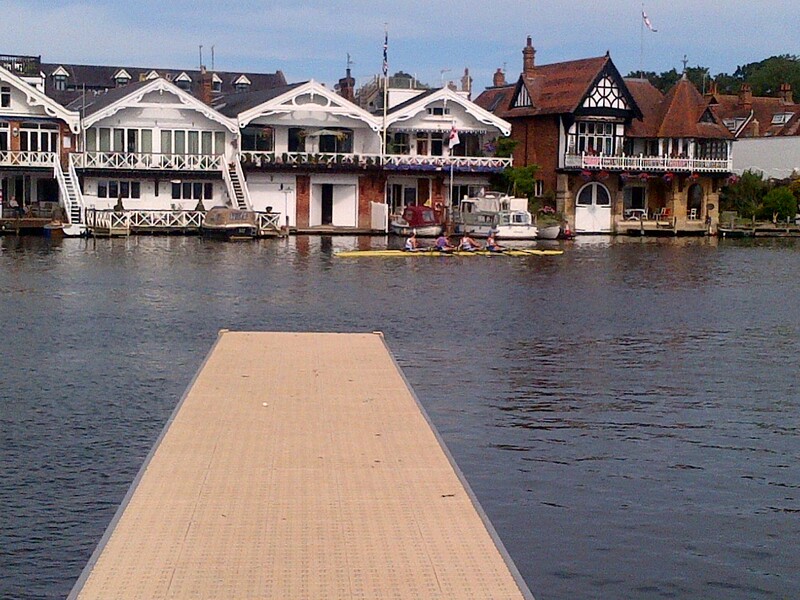 I will tell you more about my time at the Henley Royal Regatta. Working with the great team at Regatta Radio. When I speak to you next in a few weeks time. It really is an amazing summer of sport once again this year. With it all seemingly happening at the same time. As well as the Henley Regatta. It is also the Wimbledon Tennis Championship finals weekend, the British Grand Prix and we still have the small matter of the World Cup going on in Brazil. So starting with the tennis it was great to see the reaction Andy Murray got from the Centre Court crowd. When he walked out to start the defence of the men’s singles title he won last year. It was a really nice standing ovation he received before his first match, very well deserved for his efforts last year. Shame it did not quite work out for him this year. It would be nice to have a British winner of the Grand Prix this year. Which looking at the form guide so far this season. It would seem that Lewis Hamilton may well be our best hope of achieving this. The World Cup goes on without England of course. Who were out of the running after just two games. The team I got in the Wembley Stadium sweepstake did not fare much better. I had Honduras in the draw who were not good enough to win the whole event and win me the big money. As they were knocked out at the group stages. But annoyingly they were not even bad enough to win me any of the booby prizes that were on offer. For the first team to get knocked out of the competition or for the team who conceded the most goals in the group stage. I actually thought I might have had an outside chance with those two options but they were too good for them in the end. On the plus side the people that drew out Spain, Italy and Portugal all suffered the same fate as me. 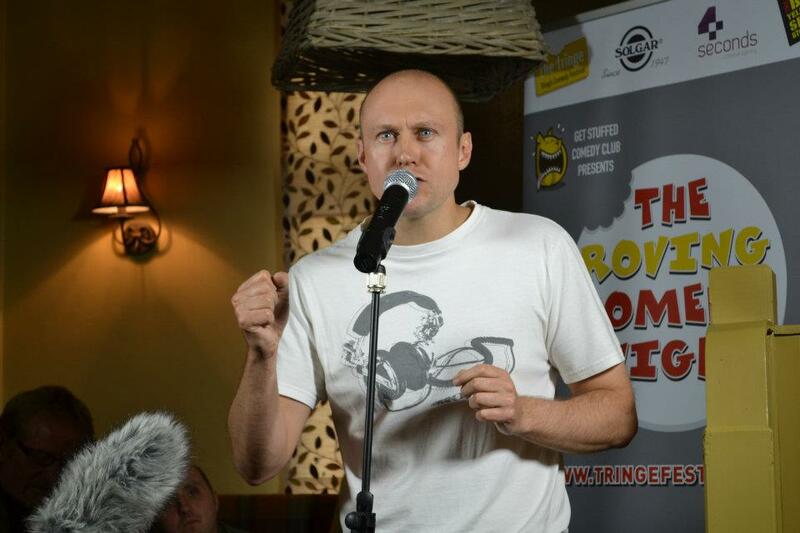 Last Sunday it was the Tringe Festival Roving Comedy Night in Tring. This is the comedy event at which I made my stand up comedy debut a couple of years ago on the back of an eight week course with the comedy guru that is Logan Murray. The night always signals the start of the three week Tringe Comedy Festival. Which features performances from lots of excellent comedians. On the Roving Night the new trainee comedians do four different gigs in four different pubs around Tring. Accompanied by a professional comic. Who headlines their little section of the show. So the audience stays in the same pub all night and the comedians travel round to them at about half an hour intervals. It is a fantastic idea which works really well. 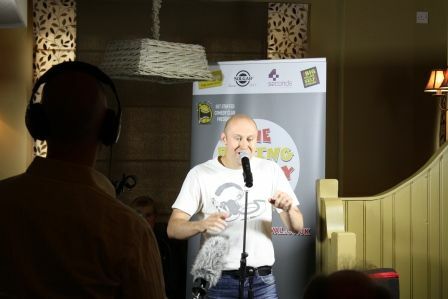 Each pub is hosted by a comedian who was a trainee comedian themselves in a previous year. So as they have been through it themselves in the past. They are very sympathetic and supportive to all the newbies. As are the audience who know what the idea of the night is in advance. Plus many of them are often there to support someone they know who is performing. When I did it, it was one of the most fun experiences of my life. The buzz you get from getting your first laughs is amazing. And the excitement of travelling around and facing a new test with a new audience every half an hour. Certainly gives you a constant adrenalin rush for the whole of the evening. But it is all worth it for the feeling you get when you all meet up after to have a chat and a drink with the rest of your classmates. Who have all just shared the same amazing experience as you. I was on a high for the next week after I did it. 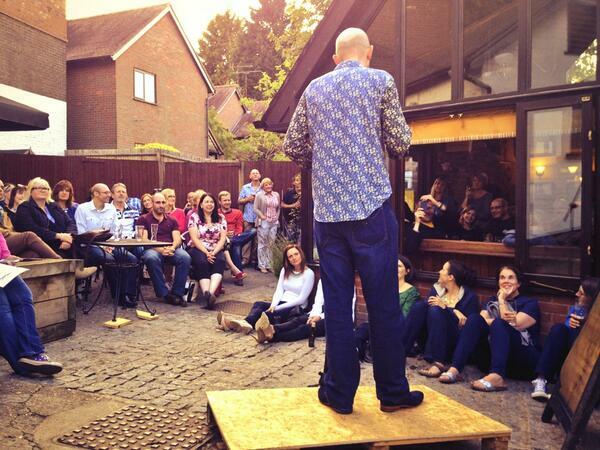 So for this year’s Roving Comedy Night I was an audience member at the Robin Hood Pub in Tring. The stage was set up at the back of the venue in their beer garden. I managed to get myself a seat right on the front row. It had been quite a nice pleasant and warm day. So I went along just wearing a shirt forgetting that I was going to be sat outside and that England is very much not a tropical country. Which meant by about half way through the evening. When the sun had gone in I was actually freezing. Which I have to admit did take the edge off the comedy a bit. Through no fault of the performers. Just because I was starting to shiver a bit. Luckily the mate who I was with had looked out a load of clothes to take to the charity shop. Which he had put in his car ready to drop off. So before the last group of comedians arrived he nipped out to his car and lent me a jacket. Which did mean I could stay outside and enjoy the whole of the show in more comfort. Well done to all the trainee comedians doing their first gigs. I thought they were all great. It is a really tough thing to do. I remember what I felt like before my first performances. So I could really feel what they were going through. I hope they all enjoyed the experience and would not be put off standing up and trying to make people laugh again. The four professional comics were all brilliant. It was great to see Arthur Smith and Silky perform again. They were both on the bill when I did The Roving Comedy Night. And they were once again both very funny. I also got to see two new performers, who I had not seen before Paul B Edwards and Gavin Webster. Who were both fantastic. It was a really great night and really made me want to get out and do some more stand up comedy. I really enjoyed watching but part of me wanted to just get up and do a little bit last night. A big well done to Ben Moorhouse and the team for organising a top night. And well done to everyone involved including the audiences for making it such a great success. I mentioned Arthur Smith performing at the Roving Comedy Night. To do that he had travelled straight from the Glastonbury Festival. Where he was also performing. He did literally turn up in just the clothes he had from the Somerset event, including some of the Pilton farm mud still on his trousers.Taking into consideration that he was a man who I would guess had not had much sleep during the previous forty eight hours. He was still brilliant. The mark of a true performer. From what I have seen it does appear this year’s Glastonbury was as fantastic as ever. With some truly great sets played in front of tens of thousands of very content festival goers. Who did not let a couple of pretty big storms dampen their spirits. I have to confess I would have liked to have been there in that field to see Dolly Parton’s performance. I bet that it was pretty amazing and spectacularly odd in equal measure. 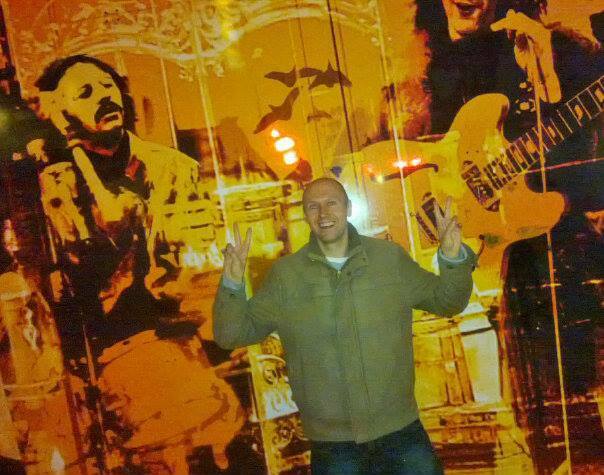 When I was working down in Somerset I was lucky enough to be able to experience Glastonbury for myself. One year I went for the whole weekend, camping and hanging out in the backstage area. Which I have to say was pretty cool. The year after I managed to get down there for the Sunday only. It has a very unique vibe, atmosphere and energy to it. There is also so much to see and do there that it is impossible to even enjoy a tenth of what is on offer. You will end up missing lots of things you want to see. As they clash with other performances or because you will not have the time to walk round the site. From where you are to where you want to be. Me and my mate I went with must have spent a good three hours walking around the place and in doing so we probably only caught three or four brief appearances on the stages we were passing. The best thing about having backstage passes was that there was a special pathway from the bar to both the Pyramid and Other Stage. So it was easy to move between them quite quickly. So I could see a bit of the set of each of the two bands playing those stages at the same time. Which if you have ever been to the Festival you will know is impossible if you have to walk round between the stages. As that is about a forty minute walk. 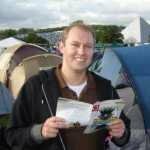 During my two trips to Glastonbury I have seen some great performances including sets from Arcade Fire, Kaiser Chiefs, Paul Weller, Manic Street Preachers, Lily Allen Amy Winehouse, Artic Monkeys, Killlers. The Who, Reverend and the Makers, Scouting for Girls and Mark Ronson. I am actually quite a fan of the Sunday afternoon slot where they tend to put on an artist you would not expect to appear there. Like this year Dolly Parton. In the two years I went to Glastonbury the two artists who performed in that slot were Shirley Bassey and Neil Diamond. Both were brilliant and the festival crowd really got in to the spirit of things and really embraced their shows. We all sung along with Neil’s big hits. And I remember the huge reception Shirley Bassey got when walking out on stage wearing a ball gown and a diamond covered pair of Wellington Boots. I have to confess I did not really watch much of the coverage of this year’s event. But that is only because if I did it would have just made me wish I was actually there enjoying it first hand for myself. I would love to go to it again at some point in the future. I have some great memories from the place including standing next to Will Young while having a drink, seeing Stephen Merchant, Dara O’Briain and Mark Owen walking around plus seeing Lily Allen walk right past me wearing an amazing Muppet Babies coat while her dad was standing behind her dressed as a mushroom. It is a crazy, wild, fun and brilliant event. It is even just worth staying in a tent for four nights for. Although if I do go back I might be tempted so see if I can get camper van this time. Just for a tiny bit more comfort. I am dusting off my CD’s later tonight to DJ at my Uncle and Aunty’s Fortieth Wedding Anniversary at a local pub. It should be a fun party night. I have got lots of great tunes lined up and ready to play. My family to be fair do know how to let their hair down and enjoy themselves. Which with the general lack of hair within the family myself included. That is actually quite an achievement.